The world of Virtual Reality really took off earlier this year when Oculus finally released a consumer ready version of the Rift- a standalone VR headset used with high end gaming computers running the Windows operating system. However not everyone can (yet) afford this new technology and according to Palmer Luckey, the founder of Oculus, we are still years away from a Rift for everyone. But does it stop us from experiencing Virtual Reality right now? Of course not. Back in 2014 Google realized that it doesn’t take a lot of effort to trick the brain into believing it’s actually inside a virtual environment and by combining a regular smartphone with a magnet, a couple of lenses and a recycled cardboard casing held together by a rubber band, the Google Cardboard was born. And even though the Do It Yourself head mount is not intended to be 100% immersive, it will give you a first hand VR experience for less than the price of a Happy Meal and it’s definitely worth it. Just slide your phone between the cardboard case and you’re off to explore the wonders of a completely different, virtual realm. In the last two years since Google Cardboard was first introduced to the public, game developers have been eagerly working on creating the next best Virtual Reality game for your smartphone and to be honest not all of them get it right. For example the most common issues I’ve faced when testing numerous VR games for android phones with a Google Cardboard are double vision due to the screen not being split exactly right and excessive lag in the head tracking technology which can induce motion sickness rather easily. It’s basically when you move your head to the left and the camera keeps going left even after your head has stopped. It’s confusing to the brain and sort of feels like being way too drunk. Of course I’m not blaming the developers for everything since I have a low end smartphone myself with poor processing power by today’s Virtual Reality standards to begin with, but still there are certain things you can do a lot better by simply writing better code. Anyway, I’ve been testing various VR games from the Play Store using my Samsung Galaxy S2 and a regular Google Cardboard I bought off eBay a while back and here’s a list of games that I actually enjoyed playing and didn’t uninstall immediately. On a side note, if you’re like me and get motion sickness easily, you should probably take breaks between gaming sessions to avoid feeling sick for up to an hour after removing the headgear because Virtual Reality Sickness is a real thing. From the few Virtual Reality horror games that my smartphone can actually handle flawlessly, the Dark Forest VR really surprised me as it didn’t make me feel sick at all. I guess it has to do with how natural your movement feels when playing the game and there’s absolutely no double vision or any other crap that will make the overall experience awful to say the least. I really recommend it if you’re a fan of horror games as the atmosphere in the game is guaranteed to give you goosebumps. 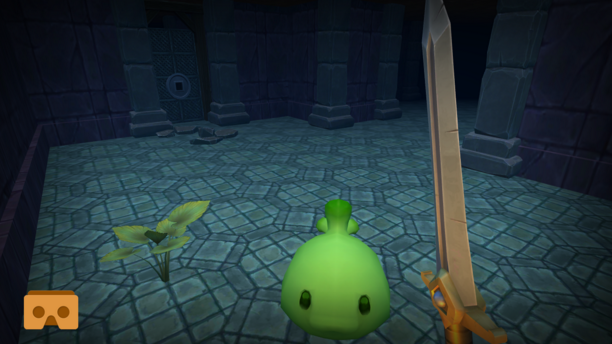 If you like fantasy adventure type games then you will enjoy VR Fantasy– a first person fantasy game where you are taken on a quest to explore a mysterious fortress filled with cute, but dangerous enemies. The graphics in this game are a lot more detailed than in Dark Forest and the scenery is really enjoyable to just stare at for a while. It’s almost as if you were inside a childhood dream. As with a lot of other VR games for android devices, you can move around simply by looking down at your feet where you can find an icon which, when focused on, will make your character move forward. You can fight enemies and break treasure chests using the magnet button at the side of your Cardboard headset and if you happen to have a Bluetooth controller, you’re in luck because the game supports that as well. Even if you’re not a true fan of space shooters, you’ll definitely get a kick out of protecting Earth from a bunch of alien attack vessels that fly out of a mothership parked in orbit around our planet. 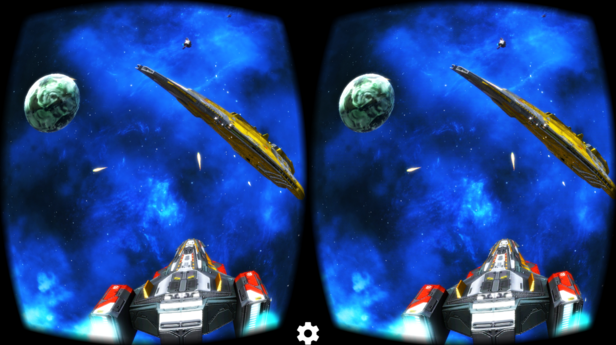 The Deep Space Battle VR is basically a modern version of Space Invaders, but this time around You are in the center of action- literally. All in all it’s another immersive VR experience well done by Archiact Interactive Ltd. With a 4.1 rating on the Play Store, it’s a must have in any mobile VR game collection. 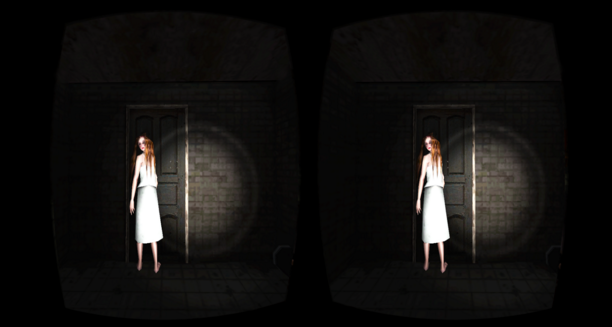 Ohh man… so Silent Home is officially the first Virtual Reality horror game that managed to spook me so much I had to take off my headset just to make sure I was still in one piece. It happened when I was walking through a corridor very similar to what I’ve previously seen in Konami’s Silent Hill series with a lot of doors leading to various messed up rooms. 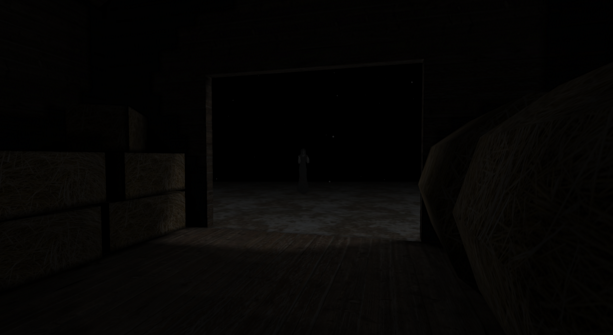 There I was just minding my own business, taking a look at some notes on the floor, and as I was about to leave the room, I lifted my head up and saw a woman standing in the doorway (yup, that’s her on the screenshot). What’s more, after removing the headset to make sure I was still alive, I realized that I had completely lost all sense of “reality” because I was standing in front of a wall in my room and I had no idea how I got there. 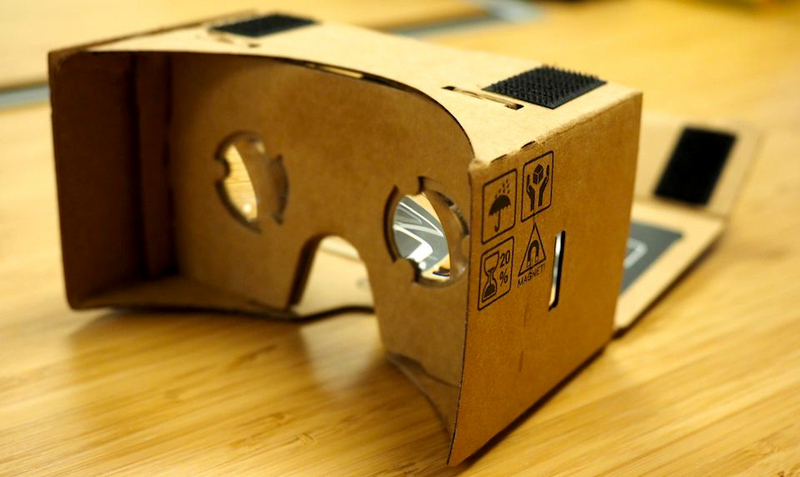 Talk about immersive virtual reality… and that all happened using a plain old cardboard. I’m impressed! After you have experienced these new and exciting virtual worlds on your cardboard, you will probably want to try out even more fun games, right? Well, you’re in luck because VR has really started to grow exponentially. I remember just last year when the best game, called Tuscany Dive, was a big hit. You could only walk around a virtual house and there were no objects to interact with, but it was considered mind blowing by most. Now, just a year later, the entire Play Store is filled with epic content. And while some developers are definitely doing a better job than others, it’s important to realize that we are only at the beginning of a very interesting journey into the virtual realms and the most immersive and epic experiences haven’t even come out yet. Over time you will no doubt realize that your cardboard isn’t very effective in taking you into the virtual world. For instance, I can only enjoy playing mobile VR games in complete darkness because of that annoying ambient light that otherwise shines through the cracks. Additionally the cardboard doesn’t really align with my face that well, isn’t very durable and has a nasty sweat collector right between the eyes. Ugh. This is why it will make sense to eventually upgrade to a better, more advanced headset built by Samsung and meant for mobile virtual reality gaming. In some ways it’s actually a better solution than Oculus Rift to a lot of people, mainly because it’s portable and since our smartphones are getting faster and faster chips all the time, we can soon experience “Rift class” virtual reality on the go.